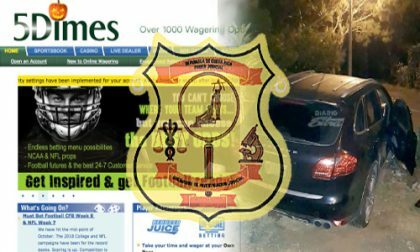 One of the darkest gambling-related stories in recent memory has reached its saddest point, with the Costa Rica Star now reporting that authorities have found the body of William Sean Creighton, also known as “5Dimes Tony”. Creighton had been missing since being forcibly abducted on September 24th, 2018, though the story of his kidnapping and ransom had only emerged publicly over the last several days. Where Creighton’s body was discovered has not yet been released by Costa Rica’s Judiciary Investigative Police (OIJ), who confirmed their ongoing investigation into Creighton’s kidnapping only after Costa Rica’s Diario Extra broke the story of the kidnapping, with numerous details likely obtained from Creighton’s family or from sources close to 5Dimes, one of the most prominent CR-based books. Most of those details have since been borne out by subsequent reports. 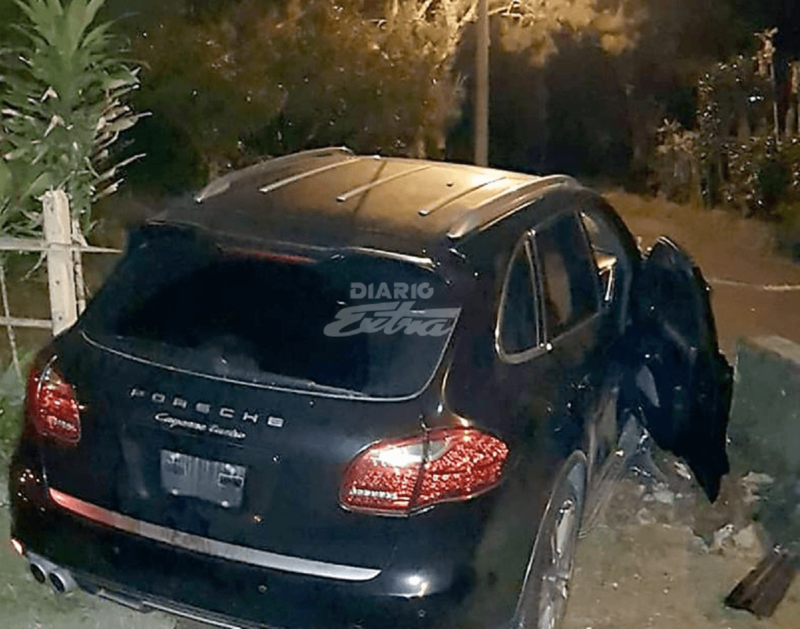 5Dimes Tony’s crashed Porsche Cayenne Turbo (Image Source: Diario Extra). According to the Star, the OIJ, which serves as the country’s state police force, is continuing their work and is expected to release more details in the coming days. Several of the Costa Rican reports on Creighton’s kidnapping and murder suggest that the scheme was likely an inside job, hatched by someone close to the well-known 5Dimes Tony. The 43-year-old Creighton had been the head of 5Dimes for roughly 18 years. That’s the largest part of the company’s own history, which dates back to 1996. Creighton was last seen on the night of the 24th after dropping off an employee at his home at about 10 pm. At some point after that, Creighton and his Porsche Cayenne — which would have been a very easy vehicle to track in Costa Rica — were forced off the road by what Diario Extra reported as one vehicle plus two armed men on motorcycles. Creighton was not accompanied by a bodyguard, and his vehicle was later found crashed into a steel gate at a rural location not likely to have been on his planned driving route. The tale as first reported by Diario Extra includes several curious assertions. The kidnappers soon contacted Creighton’s Costa Rican wife — a “tico” in local parlance — with a kidnapping demand of what’s been variously reported between $750,000 and $1 million, with the $750,000 the most-often cited figure. The money was to be sent via cryptocurrency, meaning Bitcoin or similar, to a bank account later connected to Cuba. One of the most recent reports suggests that the kidnappers have also fled there, inferring that the OIJ must have a strong idea about who’s behind the crime. Creighton’s wife and family are reported to have contacted the OIG on September 25th, only hours after the initial ransom demand. However, numerous local reports also state that the family or others also hired two former American FBI agents present in Costa Rica to conduct their own investigation. The two agents ran into trouble with the OIJ, according to the Costa Rica Star, after it was discovered they were in possession of illegal firearms likely obtained in Costa Rica’s black market, an on the 27th of September, the OIJ appears to have booted them from the scene. “Despite recent news, 5Dimes Group board of directors and its over 300 employees would like to reassure its clientele the fundamentals of 5Dimes Group operating model remain unchanged. Sadly, it was only a couple of days after the posting of that message that Tony’s body was reported found via the local news outlets. It is among this case’s many curiosities that Creighton’s body appears to have been located so soon after the kidnapping went public, despite the investigation having been ongoing for nearly a month.